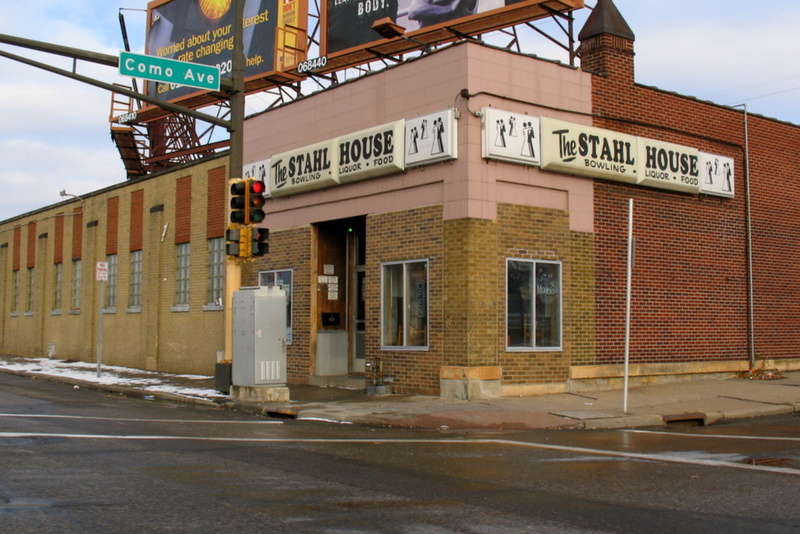 Back in the day, The Stahl House, on Como Avenue and Rice Street, was a smokey filled bar and bowling alley, or at least that's what I can remember. I know I had been in the place a time or two when I was under the age of ten with my Grandma. Today, I am told by my Grandma that the bowling lanes have been removed and have been replaced by a dance floor for receptions and various other dancing events. Driving by in my car, I didn't catch the difference between the Stahl House sign and the male and female shaped dancers sign on either side of the original sign. We have our fingers crosses for the Stars, hoping Turco doesnt revert back to early season form. thanks for the pic. 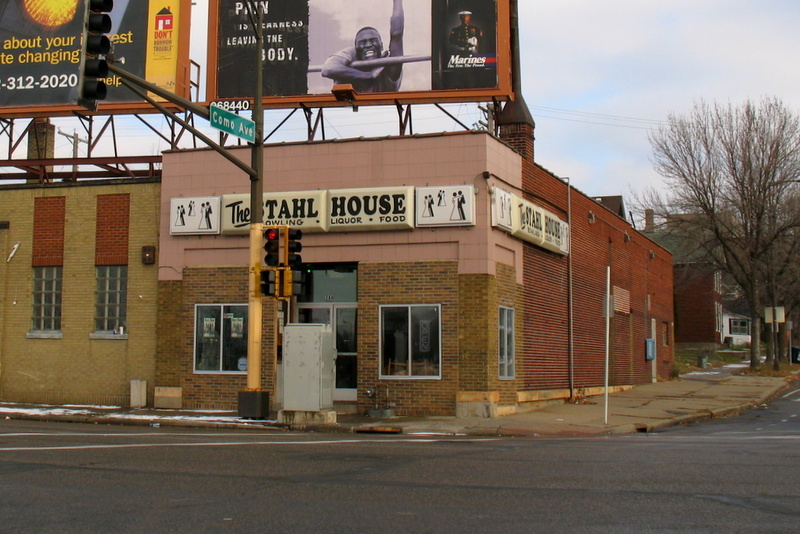 It would be neat to find a pic of it from early 1900's when my gr gr grandfather John Stahl was running it as a saloon. Prior to that I think his father ran a grocery store out of it. It was a grocery store too? Very interesting. If you ever find an older photo, I'd certainly post it on the blog for you.